Growing up in Iran, Dr Mehdi Adibrad received his Doctoral of Dental Surgeon (D.D.S.) from the prestigious National Dental School (A.K.A Shahid Beheshti University), graduating First Class Honours with Distinction. Furthermore, he obtained his master specialty degree in Periodontics and Implantology with outstanding academic records and the first rank in the specialty Board exam. 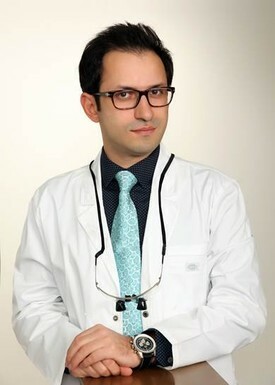 He worked as a periodontist, implantologist and surgeon in Iran and meanwhile published more than 10 articles in prestigious journals such as Journal of Oral Implantology and Journal of Periodontology. Having moved to Toronto, Dr. Adibrad ranked first in the Canadian Assessment of Fundamental Knowledge (AFK) examination in February 2013. Then he successfully completed NDEB equivalency process of Canada in first attempt and got his license as a general dentist. He is a member of Royal College of Dental surgeons of Ontario (RCDSO) and Ontario Dental association (ODA) and International Team for Implantology (ITI). Enjoying all aspects of general dentistry and being patient focused, his main areas of interest are periodontal surgeries, root canal therapy, implant dentistry and cosmetic dentistry. He is also the head instructor of Confidentist Group Center and has taught and helped hundreds of dentists to obtain their Canadian licensing. He continues his education through many specialty courses, various seminars, study clubs and online courses. Born in Iran, Dr. Neda Kadivar obtained her Doctoral of Dental Surgeon (D.D.S) from the prestigious Mashad University of Medical Sciences. After graduation, Dr. Kadivar honed her skills and learned the dentistry business by observing and working with top dental professionals over the next 7 years before opening her own practice in Iran. 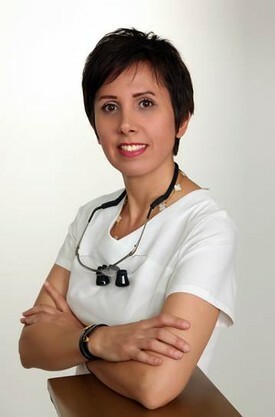 She has more than 20 years of experience in providing high-quality dental care through a variety of services. After moving to Canada, she successfully completed the NDEB Equivalency Process and Board Exams in 2014 in first attempt. Since then she stays active in practicing dentistry in several dental offices in Toronto. Her practice philosophy is based on mutual trust, respect, and openness, and making a difference in her patients’ lives. Dr. Kadivar stays up to date regarding advanced techniques and materials in modern dentistry by studying journal articles and books and by regularly attending dental seminars which helps her improve patient outcomes with more predictable results. Her dedication to continuing education is reflected in her involvement in “ConfiDentist Group Corp” which is a professional training center that prepares internationally trained dentists on their quest to succeed in satisfying the requirements to obtain their Canadian licensing. Dr. Kadivar is also an active member of the Royal College of Dental Surgeons of Ontario, the Ontario Dental Association, the Academy of General Dentistry, the Medical Council of Iran, the Iranian Dental Association and the Iranian Ontario Dental Association.